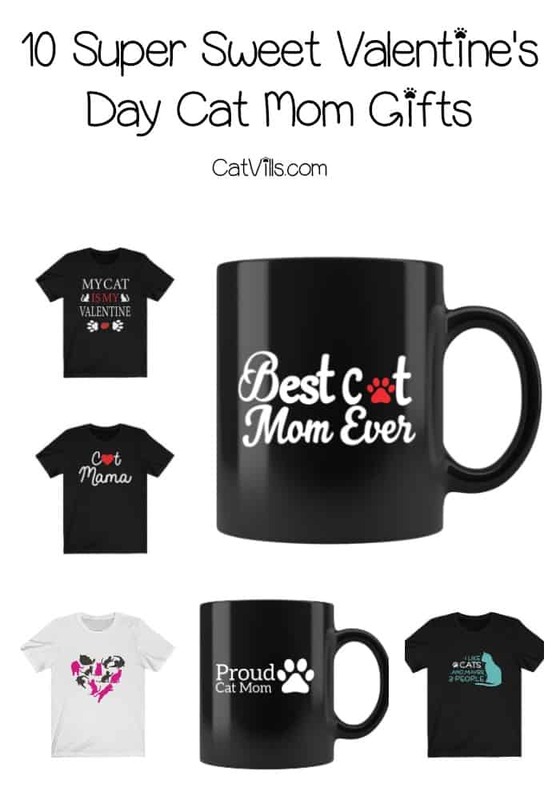 Looking for some great Valentine’s Day cat mom gifts for your special someone? These 10 ideas are the purrfect way to say I love you! As a pet parent myself, I can say that I’d be thrilled to receive any of these adorable presents! I always love an opportunity to tell the world how much my kitties mean to me! Check them out, then tell us which one you love the most! If your true love is both a cat and a dog lover, check out these fabulous Valentine’s Day dog mom gift ideas, too! I’ll give you links to both (when applicable). The “Buy Now” button takes you to our store, and the Amazon ad beneath it take you to the Amazon listing. Related: It’s never too early to start thinking about the holidays again! Check out this cute Cat Mom T-Shirt! Let’s start with one of my favorites! This “Cat Mama” shirt with a red heart is perfect for Valentine’s Day but still “evergreen” enough to wear it year round! 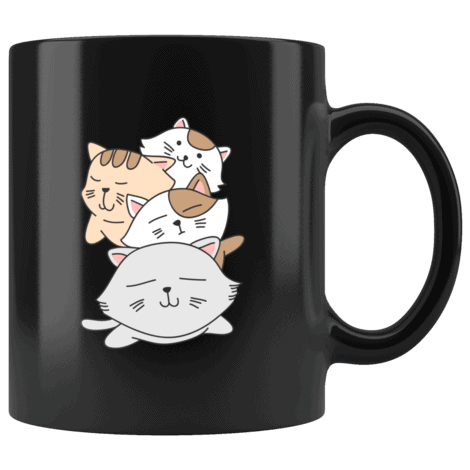 Give the gift of coffee to your Valentine this year with this cat mom mug. 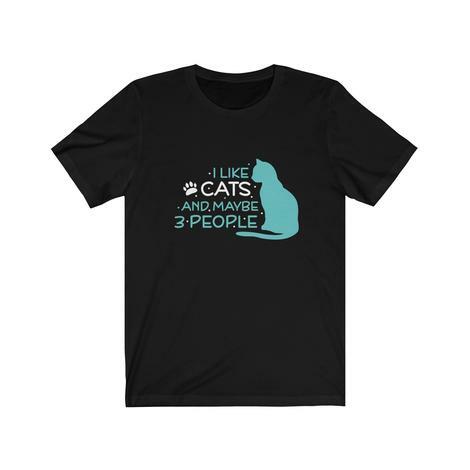 It goes great with the Best Cat Mom t-shirt featured below! 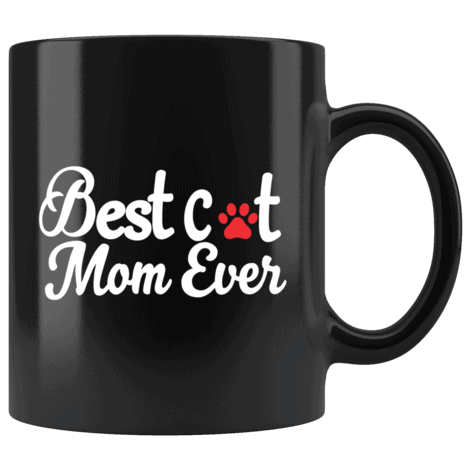 While this one doesn’t specifically say “cat mom,” it’s one of my favorites! Isn’t that just about the cutest pile of cats ever? We can’t talk about Valentine’s Day cat mom gift ideas without sharing this one! It doesn’t get much clearer than that, now does it? This funny cat mom t-shirt says it all. You feel what I’m saying? 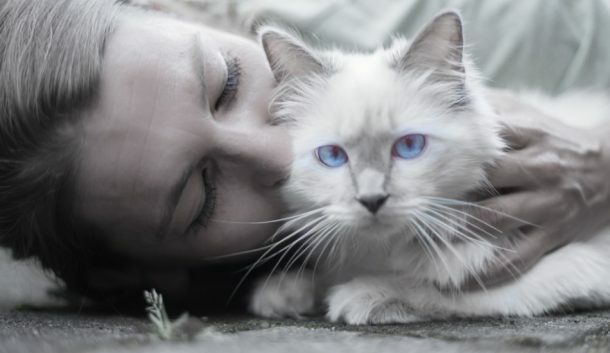 Once upon a time, being called a crazy cat lady was considered an insult. We say “psh” to that! We’re taking it back and turning it into a complement with this funny mug! Grab this one for that proud single lady in your life, because as long as you have a cat, you have a Valentine! Also makes a great gift idea for yourself! Hey, there’s no rule that says Valentine’s Day cat mom gifts have to go to someone else! 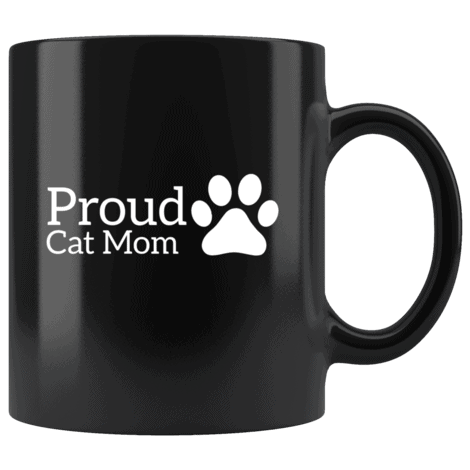 Isn’t this the perfect mug for a proud cat mom who loves her coffee? 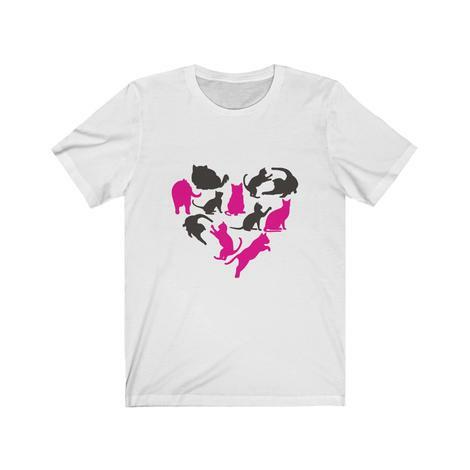 This pretty shirt is full of pink and black cats in the shape of a heart, adorable right?! 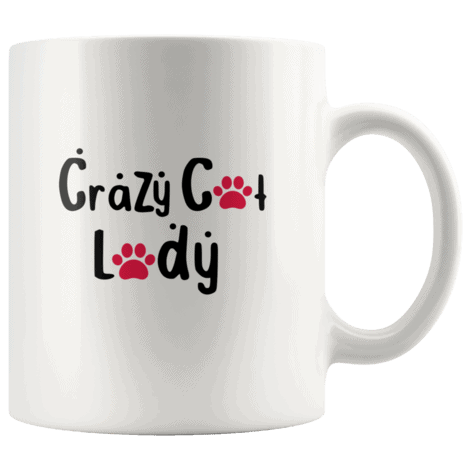 This hilarious mug is one of my favorite Valentine’s Day cat mom gifts! 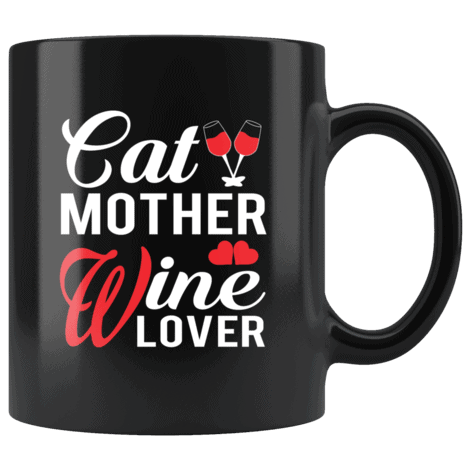 Don’t forget to check out all the other fun Valentine’s Day cat mom gifts, too! Which one of these Valentine’s Day cat mom gifts is your favorite? Comment below!